American Oil Corporation «Exxon Mobil» closed up shale gas exploration on the territory of Poland. The reason to refuse shale gas exploration plans were unsatisfactory results of two exploratory holes drilling. Oil Giant did not discover sufficient (commercial) quantity of shale gas and came to the decisions to stop the production. Test boreholes appeared to be unprofitable. 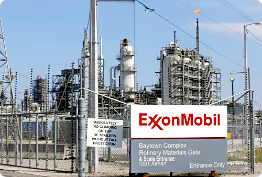 «Exxon Mobil» faced similar problem in the end of 2011 – shale gas intake did not justify its recovery. However, the company was not in a hurry to put an end to ambition of shale market in Poland trying to meet unique challenge. The hopes have not been justified. Does it mean that «shale revolution» in Europe will not occur? Sergey Penkin, the director of Energy Development Fund assures: «All ambitions concerning shale gas recovery are not worth a hill of beans, these projects are political». «Wide Northern territories of the USA cannot be compared with the territory of heavily populated Europe», - Penkin says, - «Technologies of shale gas recovery do not satisfy ecological standards in Europe». China is embarrassed by the exploration of shale hydrocarbons. Exploration of shale gas is realizing in several European countries – Germany, Sweden, and Ukraine. In 2010 Alexander Lukashenko appealed to find shale gas field on the territory of Belorussia. On the other hand France, Bulgaria and Rumania forbid the recovery of «shale fuel» because of the danger of environment pollution. Profitable European shale gas wells in the future might be «dangerous» for Russia, which is the biggest supplier of the fuel to the European Union. The refuse of «Exxon Mobil» corporate group from the shale gas recovery in Poland tells about decrease of the interest to the project. Worthy alternative to Russia natural gas does not still exist in Europe. That means that independent gasification by liquefied petroleum gas stays relevant and pending in the future.